Hello everyone! Trying new products have never stops for me. After completely finish my previous cleanser I am opt for a new one. This time around I am looking for a cleanser that helps on deep cleaning my pores. Since it’s getting more humid here in Malaysia. My pores has been bugging me. 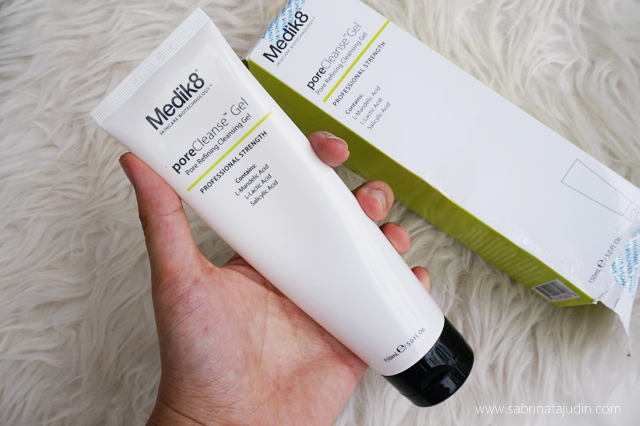 So I got a chance to try a cleanser from a professional skincare like Medik 8. Last year I have tried their eye serum which you can read it here - Medik 8 PRETOX Eyelift . Today I am trying their cleanser that is target to help removes oil, dirt and bacteria, provide me with a deep-pore cleansing with a daily gentle exfoliation properties. This cleanser claims to be a cleanser that works effectively to manage the main concerns of oily skin while providing anti-ageing benefits, with both AHA and BHA acids. 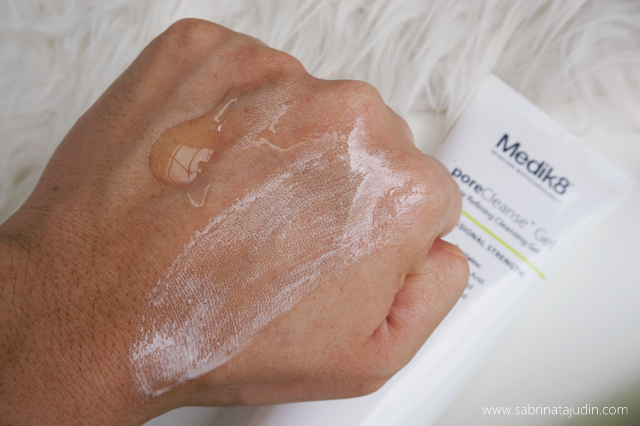 poreCleanse Gel contains L-Mandelic Acid, which has been shown to offer similar exfoliation properties to glycolic acid, but without the same level of stinging or irritation which can ultimately lead to superior results and a more comfortable experience. When it comes to skincare, I love the look of a product that looks “medical” or “lab stuff”. If you know what I mean. Haha. Skincare has to be something that concentrated and targeted to help make skin healthier. So medical look like packaging something convince me. Weird perceptions of me. I love cleanser that comes in squeeze tube too. This cleanser is 150ml. Still got a lot even tho I use it every day since I got it. After years of discovery I find gel cleanser works on me best. I have a combination skin. It is between oily and dry. Gel works best! This cleanser is formulated with no Sulphates, Parabens, & Soap. This cleanser has a gel to liquid consistency. Although that it is not formulated with soap, this lathers pretty nicely. It has a fresh scent too. I am going to talk about what special about this cleanser that I love. The ingredient it has is amazing. It has this anti-bacterial properties that also helps to reduce the chances of acne. It is from the ingredient called L-Mandelic Acid. Along with that with a simple cleansing routine, I also gets exfoliation benefits from its Salicylic acid that helps to deeply cleanse my pores from dirt every day without stripping my natural skin moisture. Some fun ingredients like Yogurt Extract, Mangosteen Peel Extract & Raspberry Fruit Extract that is reach in vitamins, antioxidant, anti-inflammatory and many more! 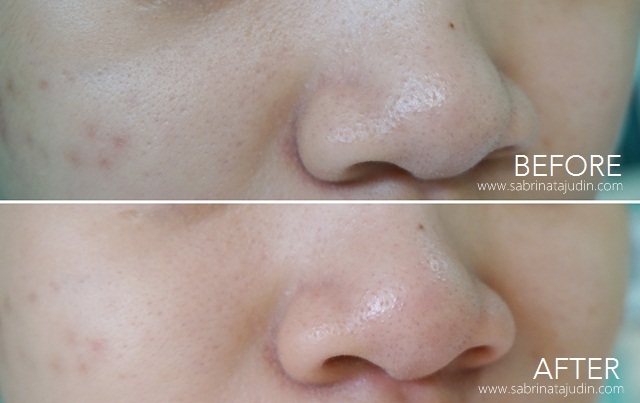 This is a before and after picture exactly right when I tested it. The before is my “I woke up like this” face. A bit oily and open pores. After cleanse my face looks clean and my pores is blurred out. It is not too dry and I feel my skin is really refreshed. Been using this for weeks now and it compliment with my other skincare stuff. Really works great! 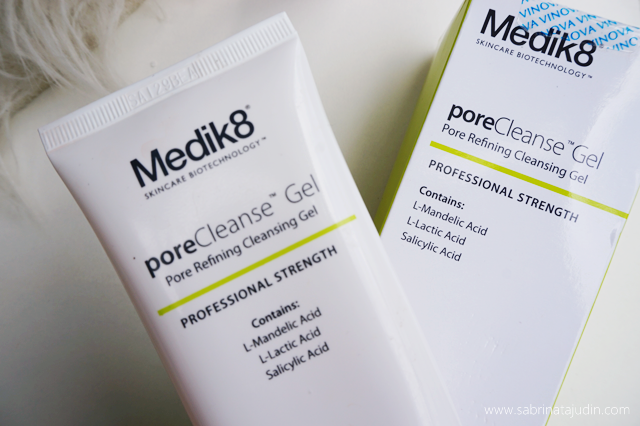 Do check out others product from Medik 8 for more professional skincare line. All links are listed below! Special cash voucher worth RM20 for any purchases! nampak perbezaanya..kulit sab nampak segar n gebu after wash your face..
yep! hehe thanks for reading! I really do like Malaysian products,...too bad I just can't find a way to get them shipped to India..If you know a website that ships internationally plz do tell!! your skin looks brighter !! good for you..